Boca insurer Seeman Holtz Property & Casualty is growing in Pennsylvania. 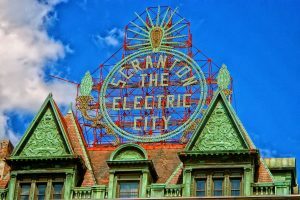 Seeman Holtz Property & Casualty has added a Pennsylvania insurer to its growing family of companies. The Boca-based insurer recently announced it has acquired Merchants Preferred Insurance Services, Inc., headquartered in Erie, PA. Merchants Preferred has served he Pennsylvania, Ohio, and West Virginia areas for over 25 years with personalized solutions for commercial, personal, and auto insurance needs. The company, which has been family owned, is one of Pennsylvania’s fastest growing insurance agencies. Seeman Holtz has been growing nationwide through acquisitions of high-quality agencies such as Merchants Preferred. The recent acquisition boosts the northeastern presence for the insurer. “We are pleased to have the Merchant team join our family of companies. They bring in excellent client and carrier relationships to our team,” said Marshal Seeman, President of Seeman Holtz Property and Casualty. “The Merchant Preferred Insurance team will roll into our Vincent Urban Walker division in the Midwest. We look forward to bringing our client service model to their existing relationships,” said Brett Williams, Vice President of Seeman Holtz Property and Casualty. The company also recently acquired Asenbrenner Insurance of Wisconsin. But that was just the latest in a string of purchases. Recent acquisitions include Xponent Employer Solutions of Scottsdale, Arizona; Fifth Avenue Healthcare Services of Tulsa; Missouri-based Tri-Star of Sikeston, Inc. DBA Self Insurance; the Federal Employee Insurance business of Federal Employee Services, LLC, of Edmond, Oklahoma; and Elton Porter Insurance Agency of Houston; the book of business from Affiliated Insurance Managers, Inc., headquartered in Morgan City, Louisiana; and JEM Insurance Services, Inc. in Boca Raton, Fla.
Seeman and Eric Holtz started Seeman Holtz in 1998 as a pre- and post-retirement planning firm. Since then, the Seeman Holtz family of companies has expanded to include coverage for home, life, auto, boat, private client and business insurance. And it continues to expand through acquisitions of high quality companies around the country.